Geneva, Switzerland - 26 Oct, 2017, following the success of the onboard experience and web series with more than 2.4 million views* Kelly & Kloe are back with a new series. The five episodes of the second series are now available to view online at www.kellyandkloe.com. This new series features 21 real cruise guests, identified through open auditions held on board of every ship in MSC Cruises’ fleet since May 2017. More than 85,000 children auditioned to star in the show as part of the Kelly & Kloe experience on board, just one of the many entertainment activities available across the fleet for kids of all ages. 21 finalists were chosen by the judging panel consisting of members of the MSC Cruises’ Entertainment division as well as the Writer, Series Producer and Director of the series. The series, now available to watch online and on board, includes four episodes dedicated to MSC Cruises’ new flagship, MSC Meraviglia, and a very special episode themed around Halloween. 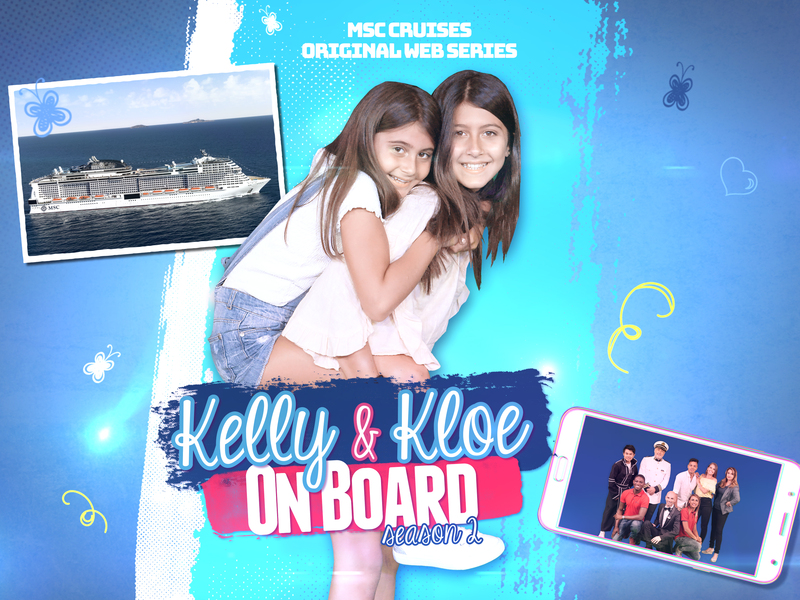 • Episodes 1-4: KELLY & KLOE ON BOARD “MSC MERAVIGLIA”: in a four-part mini-series, Kelly & Kloe are back on board, but this time on MSC Cruises’ brand new flagship MSC Meraviglia. Their father is the Captain and they can’t wait to spend their vacation there. Kelly & Kloe find new friends including Naoki, Jenny, Patty and Kevin but also Max the butler is still a problem to be fixed whilst Nico is still in love with Kloe. With the magic of DOREMI and some help from the “Kids’ locator“, they prepare for an unforgettable cruise. • Episode 5: HALLOWEEN ON BOARD: During the night of Halloween, three real witches decide to spend a vacation on board of MSC Meraviglia. Thanks to the magic of a black rose and some scary transformations this Halloween will be seriously wicked… or maybe just a beautiful nightmare!